Happy Earth Day!!! I love Earth Day-one of my very first blog posts was about doing Earth Day activities with my at the time preschoolers (when I was pregnant with my almost 4 year old-time flies!) 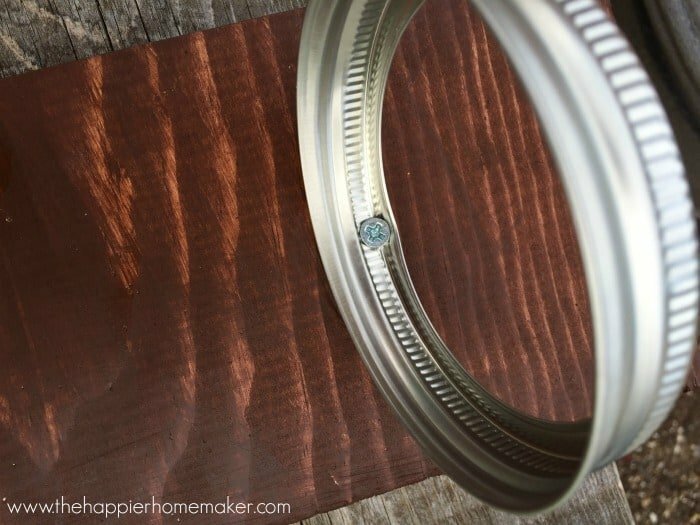 If you’ve been here for a while you’ll know that one of my favorite types of projects to post here on the blog are upcycled projects, so my current project should be no surprise. 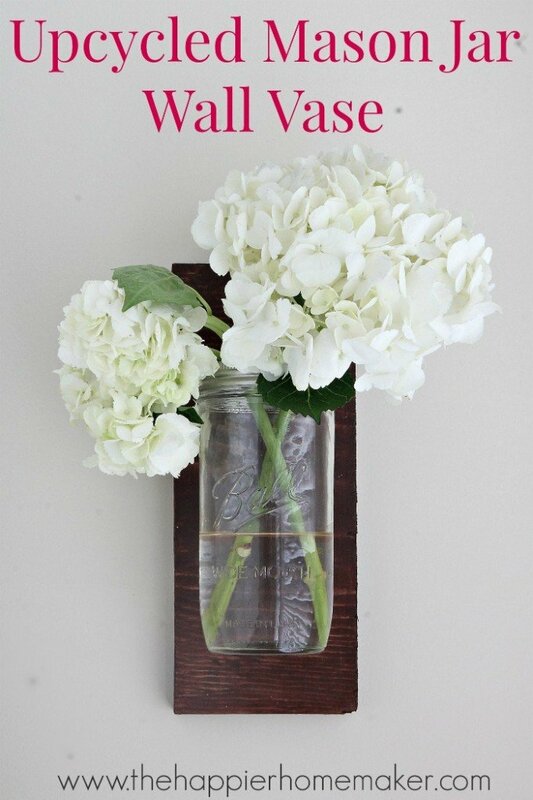 This Upcycled Mason Jar Wall Vase is so simple and easy-you probably have everything you need sitting around the house right now! 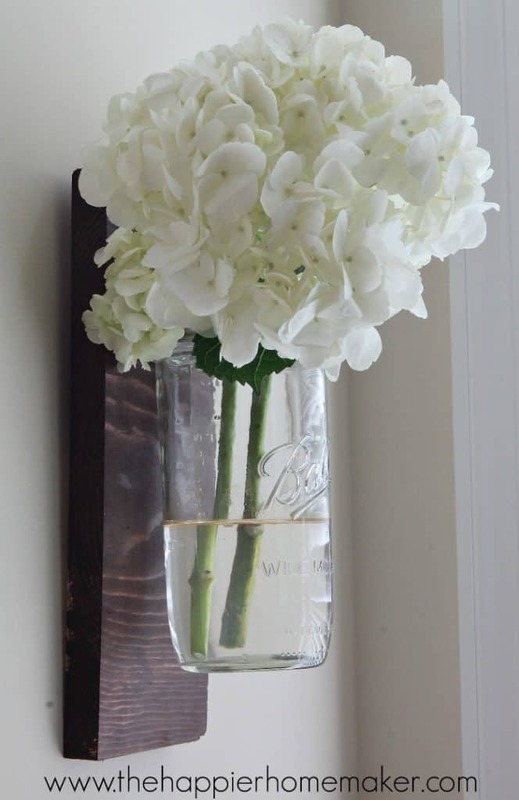 Unless your mason jar is brand new, be sure to clean it out thoroughly before turning into a vase-you don’t want anything contaminating your water and killing your precious blooms! 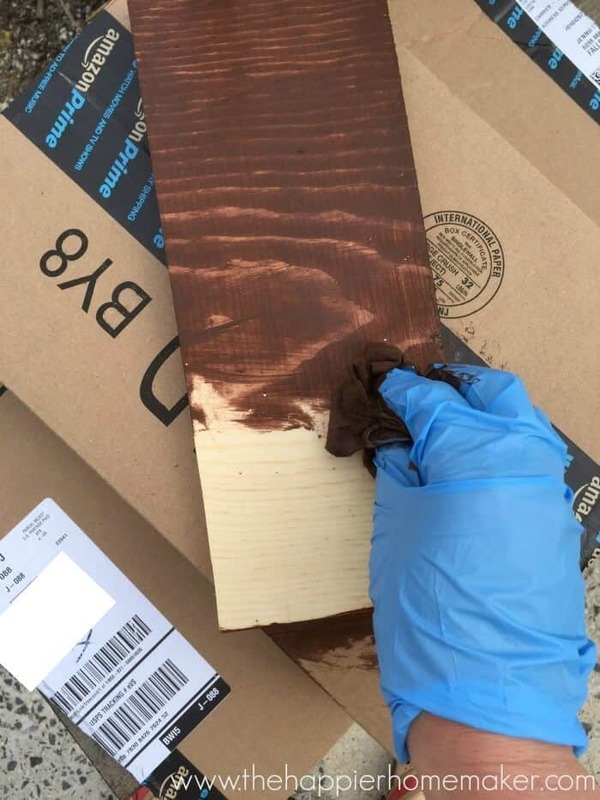 Stain your scrap wood your desired color, set aside to dry completely. 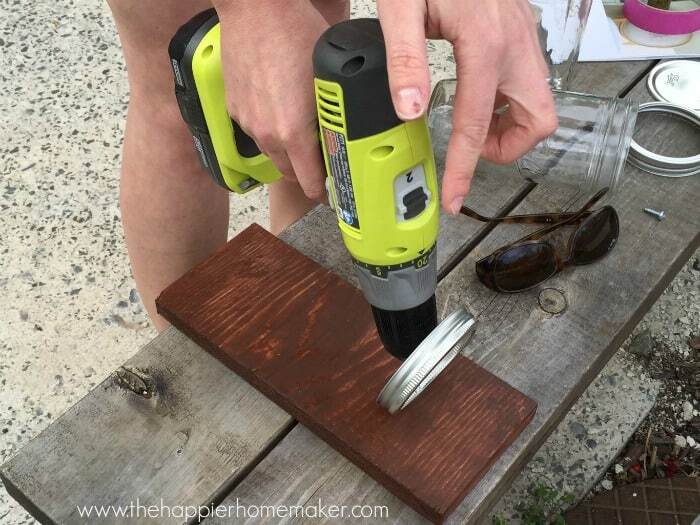 Use the screw and drill to attach the jar band to the wood-make sure you place the screw at the very top of the interior of the band so that your jar can still screw in below. Then just screw the jar into the band and your vase is ready to use! 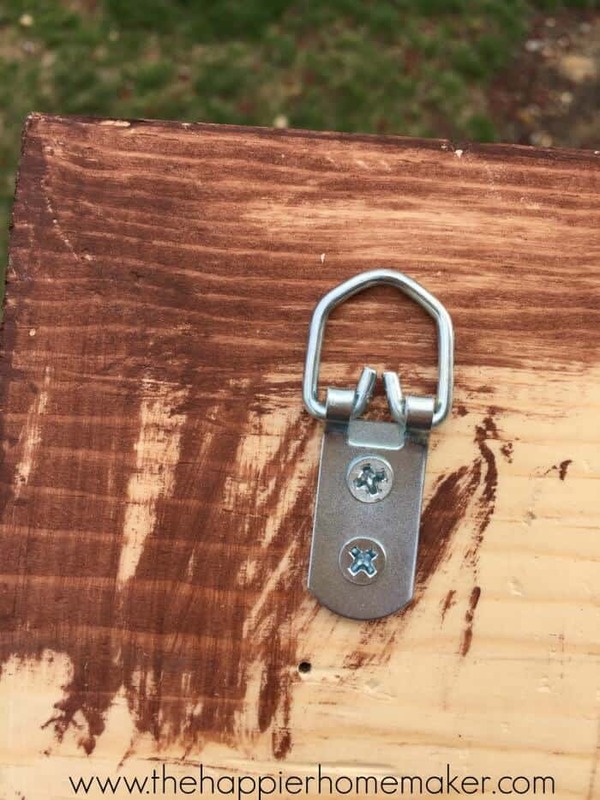 Such a fast and easy project! Who on your list would like this as a gift this year? 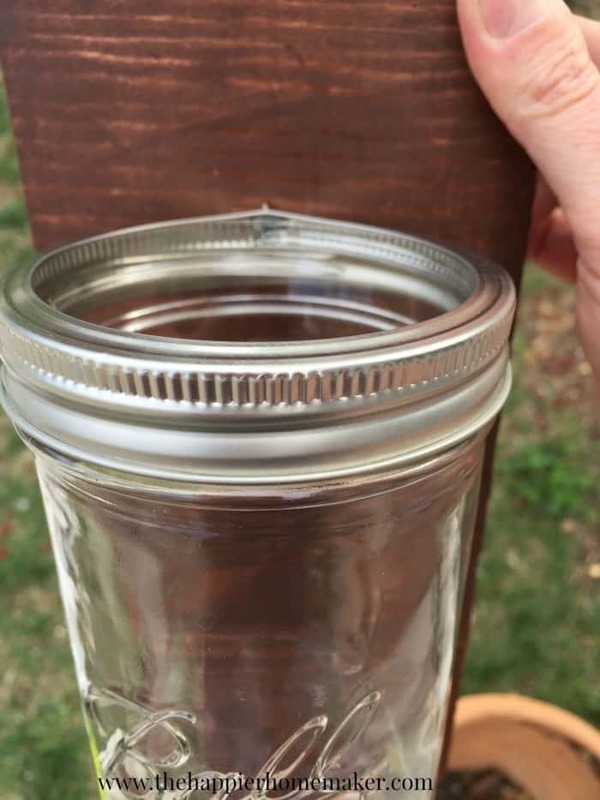 I love mason jar project.